"Caroun Photo Club" is going to hold the "13th CPC Annual Photography Salon 2019", at North Vancouver, Canada. This Competition is open to the individual photographers in Canada and worldwide (International), Professional and Amateur photographers! Participants MUST be a member of Caroun Photo Club (CPC), and their membership should not be expired until January 2020. Photos will be judged by 3 jurors, selected by CPC, and the announcement will be final. CPC will have the right to publish photos anywhere in any form (magazines, bulletins, internet, slide show…), but the copyright remains for the photographer. A slide show will be made with these photos. All the photos MUST have a “Title”. “No-Title” photos are not accepted. Photos of previous photo contests are not accepted too. Each Photographer could send maximum 4 photos. Photos could not be changed. An exhibition of all the Photos will be held at “Caroun Art Gallery” in Vancouver, Canada. Participants should register for the gallery at the same time of taking part in the competition. A permanent virtual exhibition will be posted at CAG website. All the participants, who did anything out of the rules, will be cancelled from the competition, without any notice, even if he/she is among winners, and the prize will goes to the next person. Fees are not refundable. This announcement will have changes before the judgment, without any announcement. Participant could check it on CPC website themselves. Participants should send their printed works along with a digital file. Just 12"x16" (30x40 cm) or 12"x18" (30x45 cm). CAG could print and frame International participants' works on their own cost. The application of the competition should be filled out for each photo separately and fixed at the back of the photo by paper tape. One "Artist’s Waiver Form" should be filled out for each photographer too. - An individual virtual photography exhibition on Caroun Art Gallery's website for two weeks (12 works, one theme); application should be filled out by the winner and sent to CPC in November 2019. It is posted on CAG website..
- An individual virtual photography exhibition at Caroun Art Gallery's website for one week (10 works, one theme); application should be filled out by the winner and sent to CPC in November 2019. It is posted on CAG website.. Seven selected works belongs to 7 photographers will receive “CPC Honorable Mention”. Prizes will be given to the winners and selected works after the exhibition. Each participant could earn JUST one Prize! Canadian participants need to add GST (5%) too. 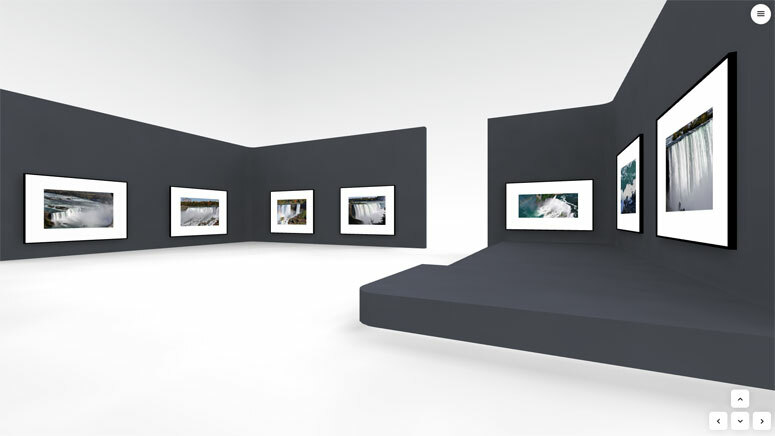 A group exhibitions of all photos will be held at Caroun Art Gallery, at North Vancouver, Canada, in December 2019. The application is posted on Website, and should be filled out and sent along with the photos. CPC has no responsibility for the lost or damaged works. Participants in the exhibition could remove their works themselves at the last day of the exhibition, or send enough money along with their photos for the returning mailing costs. CPC will keep the photos just 10 days after the exhibition; there is no responsibility for CPC later. You can send your works NOW! Hope you win! First Prize! کلوب عکس کارون، عضو انجمن عکاسان کانادا، سیزدهمین مسابقه/نمایشگاه سالیانه خود را در ونکوور کانادا برگزار می‌‌نماید. عکاسان، حرفه‌ای و اماتور از سراسر دنیا ، می‌‌توانند در این مسابقه شرکت کنند. شرکت کنندگان باید عضو کلوب عکس کارون باشند یا بشوند و عضویت آن‌ها تا پایان دسامبر ۲۰۱۹ اعتبار داشته باشد. عکس‌ها توسط یک هیئت داوری، مرکب از سه عکاس منتخب کلوب عکس کارون، داوری می‌‌شوند و نظر آنان نهایی است. هر عکاس می‌‌تواند ۴ عکس ارائه نماید. پس از ارسال عکس نمی‌‌توانید آن را عوض کنید. نمایشگاه دیجیتالی دائمی از عکس‌های برنده و منتخب در وب سایت گالری کارون ساخته می‌‌شود. آخرین تاریخ ارسال عکس: عکس‌ها باید قبل از ۸ شهریور ۱۳۹۸ به وقت کانادا در گالری کارون باشند. هفت عکس منتخب "لوح تقدیر" کلوب عکس کارون را دریافت می‌‌نمایند. جوایز در روز افتتاحیه نمایشگاه اهدا می‌‌شود. هر یک از شرکت کنندگان می‌‌توانند فقط یک جایزه به دست آورند. برای پرداخت در کانادا، مالیات به این هزینه‌ها اضافه می‌‌شود. نمایشگاهی از عکس‌های شرکت کنندگان در گالری کارون در دسامبر ۲۰۱۹ برگزار می‌‌شود.